The rising pop star's latest single is a relatable, emo-pop anthem. Bebe Rexha soared to new heights in 2018. After paying her dues with a trio of strong EPs, the 28-year-old landed her biggest hit to date with “Meant To Be.” The Florida Georgia Line-assisted slice of Americana made history when it topped Billboard’s Hot Country Songs chart last year. The catchy track then crossed over to the pop chart, eventually peaking at number two on the Billboard Hot 100. Today (June 22), she unleashed her debut LP, Expectations, and it will propel her star even higher. The “In The Name Of Love” singer’s impressive discography pays tribute to her versatility. Debuting as an alt-pop princess, she landed hits with a defiant edge. However, a feature on G-Eazy’s “Me, Myself & I” showed off her hip-hop sensibilities. She then hit the clubs on David Guetta and Nicki Minaj’s island-inspired “Hey Mama.” Each release is unique but contains her distinct signature. Her sweet spot seems to be earnest anthems that worm into your head and stay for a while. That is on perfect display on Expectations. Comprised of 14 tracks, the standard edition hops across pop’s various sub-genres as evidenced by the handful of buzz tracks. The tried-and-tested “I Got You” offers a moment of pure pop with its slippery synths and driving beat. “Ferrari” plays at stadium-rock with its sing-along chorus. “Living in the fast lane is getting kind of lonely,” she laments between gorgeous runs and ad-libs. “2 Souls On Fire” features Quavo to perfect effect (unlike some of his other appearances). The LP’s current single, “I’m A Mess,” may very well become Bebe’s next smash. Boasting a writing credit from the ever-reliable Justin Tranter, it is a relatable ode to being a hot mess. “Everything’s gonna be alright. Everything’s gonna be okay. It’s gonna be a good, good life; that’s what my therapist says,” she chants on the sing-along chorus. As “Meant To Be” cools off, I can see this firing right up the Hot 100. Romance goes long distance on “Pillow.” Opening with lush keys and longing, it tells the story of a pop star separated by thousands of miles from her beloved. “I just wanna kiss your face; I just wanna feel your gaze,” she coos. “I just wanna wake up where you are.” It is a sweet sentiment that likely took on new meaning as the jet-setting hitmaker’s career blossomed. However, every romance does not warrant a happy ending. Acoustic strings and finger snaps set the scene for a pre-breakup anthem on “Knees.” Here is a unique perspective for a pop song: pleading for freedom from the restraints of a floundering relationship. “If I’m not all you need then just set me free. I’m down on my knees,” she earnestly pleads. In an era of post-breakup bops like Selena’s “Back To You” and Demi’s “Solo,” it is refreshing to hear an artist making a move for liberation. Expectation’s second true ballad “Grace” puts an even more compassionate spin on the end of a relationship. Bebe’s voice soars above keys and weeping strings as she attempts to cause the least harm. “I hate to see the look on your face. I wish I could make myself stay, but our hearts don’t live in the same space. So tell me how to break yours with grace.” One of the most vocally daunting songs on the album, she tackles the octave changes with ease and imbues pure emotion. Love’s darker urges are also explored. “Got no self control. And I don’t mean cigarettes and alcohol. Case when it comes to you I can’t say no. I don’t want a taste, I want it all,” the hitmaker announces on “Self Control.” The addictive qualities of a relationship become a recurring theme, but here she clearly needs a hit. Conversely, her love becomes a drug on the Hit-Boy-assisted “Mine.” Over a barbed beat, she lays a trap for a potential fling. “You don’t want love unless it’s mine. Now you want it all the time,” she seductively purrs. “Steady” tells a similarly bleak tale about a musical pair that only feels the love at high points of their relationship. Featured rapper Tory Lanez delivers a woozy verse that perfectly complements the love-addled production. Although their story seems doomed, Bebe’s performance is absolutely compelling. It is impossible to avoid the very relatable “Sad,” on which the siren embraces her melancholic side. Over a deceptively uplifting production complete with aural synths and a forward-thinking beat she finds peace in sadness. On an album packed with eclectic anthems, this is an obvious highlight. With any luck it will be released as a single, because I would love to hear it on radio. It may be her biggest hit to date, but “Meant To Be,” the closer, feels out of place. The countrified mid-tempo features an earnest performance from all parties involved. However, it seems tacked on as an afterthought. This and “I Got You” could have been dropped in favor or newer material or to streamline the listening experience. 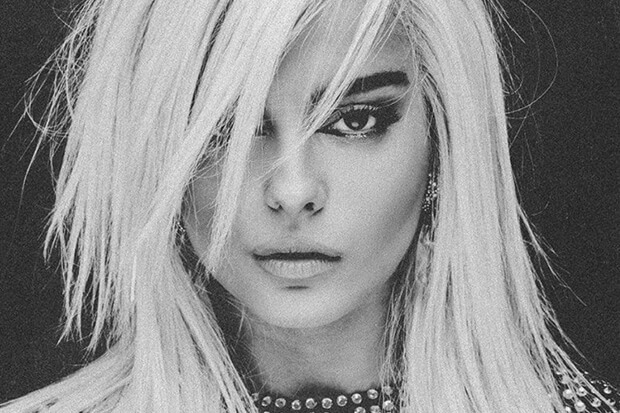 Expectations is the album Bebe Rexha has been working toward for years. And it perfectly captures the superstar’s ethos. Equal parts anthemic and earnest, the project highlights diverse soundscapes and refuses to shy away from the darker side of life. Through it all, the diva’s very recognizable voice is absolutely riveting. She is the star, and that is exactly as it should be.